Last night’s dinner was good. Spinach, Mushroom & Artichoke pie. 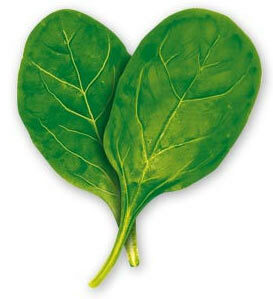 I simply cannot get enough spinach these days. We had some left-over mushrooms and some artichokes, so we had this for dinner last night. Recipe here. Brush the bottom and sides of a 9-in. pie plate with 2 tablespoons oil; (I used half that.) sprinkle with bread crumbs. Set aside. In a skillet, saute mushrooms in remaining oil and garlic; drain. Remove from the heat. Squeeze spinach dry; add to mushrooms. Stir in artichokes, bread cubes, 1 cup of cheese, pimientos, eggs and garlic powder; stir well. Spoon into the prepared pie plate. Bake, uncovered, at 350 degrees F for 30 minutes. Sprinkle with remaining cheese. Bake 5-10 minutes longer or until the cheese is melted. Let stand for 10 minutes before cutting. I’m an idiot. I baked this in a pie shell because apparently I thought you were supposed to? Yeah. Oops. Guess that wasn’t necessary. Best cut-out cookie recipe EVER. « Lila Lunes: Almost 2. You talked me into this… making it for myself tonight since Paul's working late!